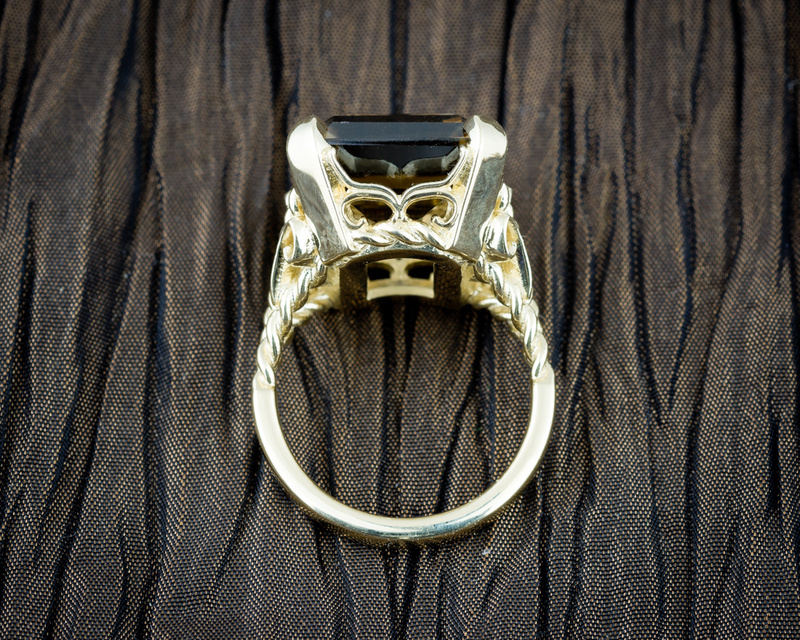 This vintage inspired rings makes a strong statement. 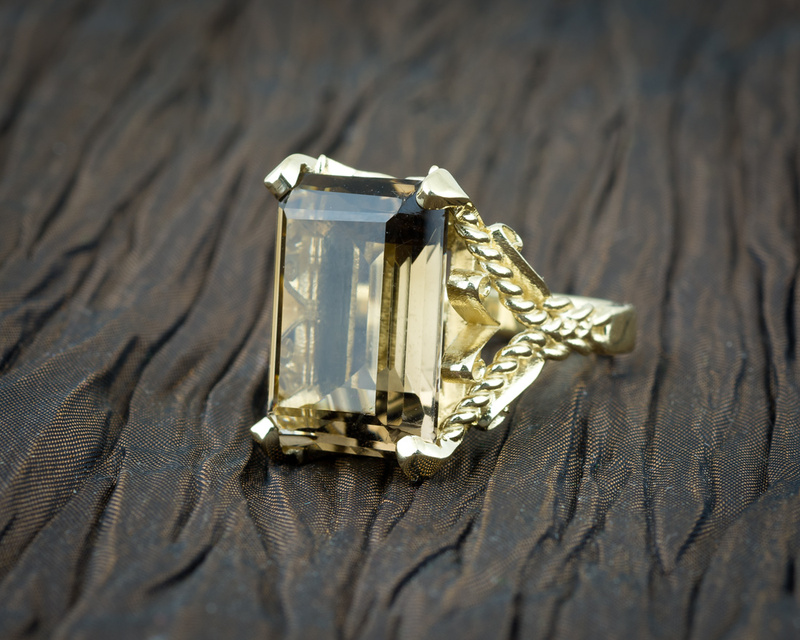 It features a large, emerald cut Smoky Quartz and braided rope accents running up the sides of the shank. 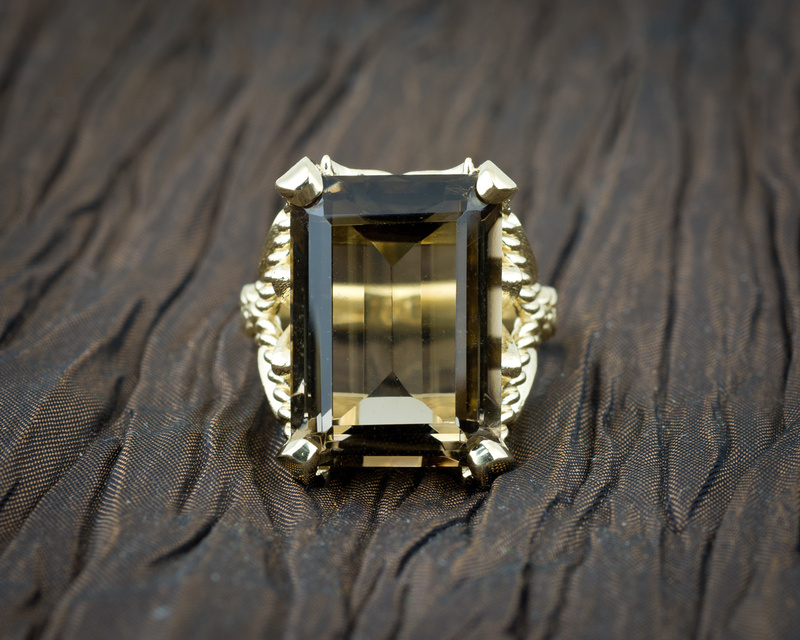 The stone is set with 4 strong prongs which accent the sharp, angular planes of the quartz. 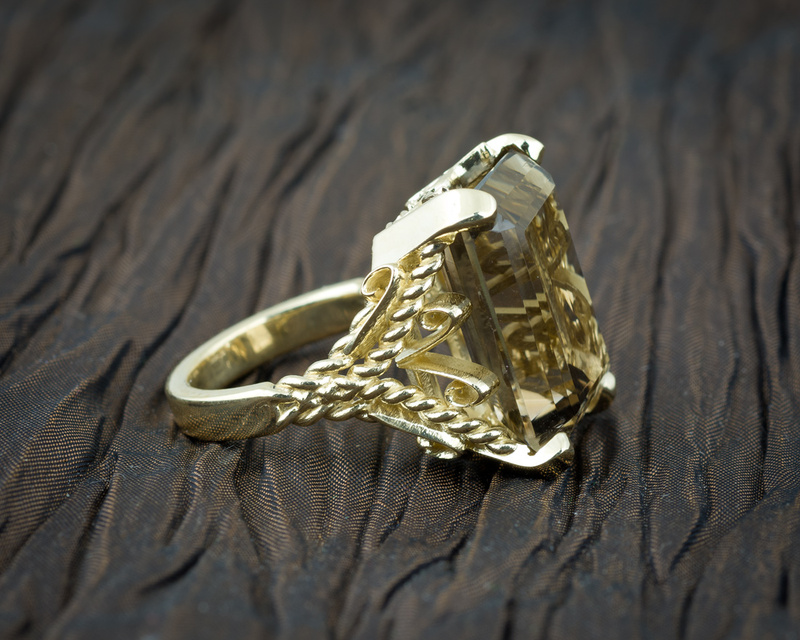 Subtle filigree accents complete the design giving the ring a vintage flare that sets it apart from the crowd. What is the price of this ring? Hi Arline, thanks for your interest. We sent you an email with pricing for this ring.